Today Canon announced an upgrade to its flagship pocket-sized superzoom. 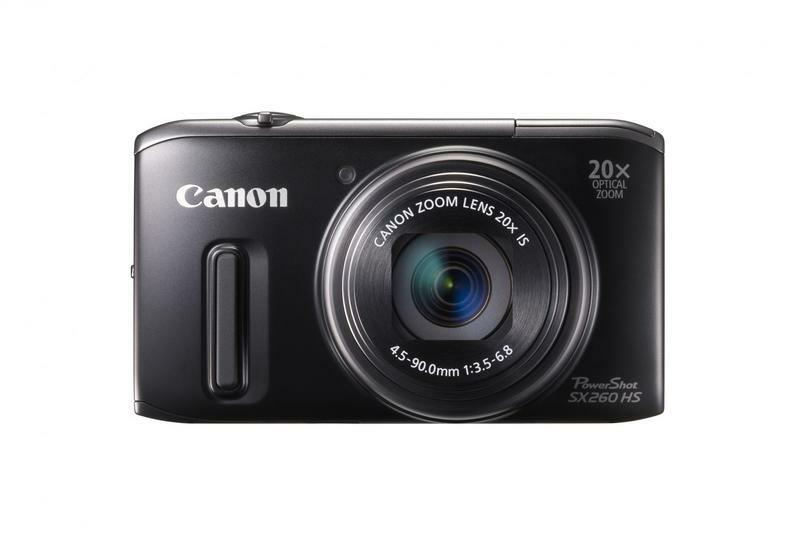 The Canon PowerShot SX260 HS will replace the beloved GPS-clad PowerShot SX230 HS. The new PowerShot SX260 HS will feature a 12.1-megapixel CMOS sensor with Canon’s new Digic 5 processing, Optical Image Stabilization and 1080p Full HD video recording. The Canon PowerShot SX260 HS is set to ship in March for $349.99. LAKE SUCCESS, N.Y., February 7, 2012 – Canon U.S.A., Inc., a leader in digital imaging solutions, today announced the addition of four PowerShot digital cameras: the ELPH 530 HS, ELPH 320 HS, SX260 HS, and D20. Photographers no longer have to sacrifice image quality for the ability to instantly share images and videos with the use of the PowerShot ELPH 530 HS and ELPH 320 HS Wi-Fi enabled cameras. 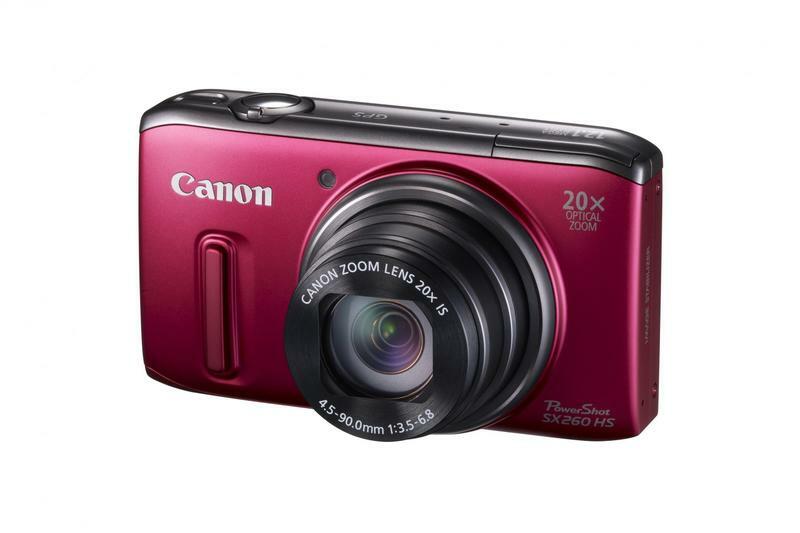 The PowerShot SX260 HS camera puts Canon’s amazing optical reach into a pocket sized camera, with a 20x optical zoom (25mm to 500mm) letting you pull subjects in close. Designed for the adventurous photographer looking to take spectacular photos, the rugged PowerShot D20 camera is ideally suited for the backpacker, snowboarder or tropical-traveler. The Wi-Fi functionality built into the two ELPH models allow for a variety of connection options to help photographers share, upload, or back-up images. Users can connect directly to a wireless network from their camera to upload photos and videos to the Canon iMAGE GATEWAY, an online service that lets registered users store images to an online album, and then post their content to social networks such as Facebook, YouTube and Twitter. In March, the Canon CameraWindow application is expected to be available on the Apple App Store for the iPad, iPhone and iPod Touch to further enhance the connectivity options. With this App, users can transfer and save images and videos from the camera to compatible iOS devices, which can then be directly uploaded to Facebook and YouTube or emailed. Photos and videos can also be shared on-the-spot with friends and family by transmitting to another current Wi-Fi-enabled Canon camera as well. A similar app is expected to be available in May for Android devices. 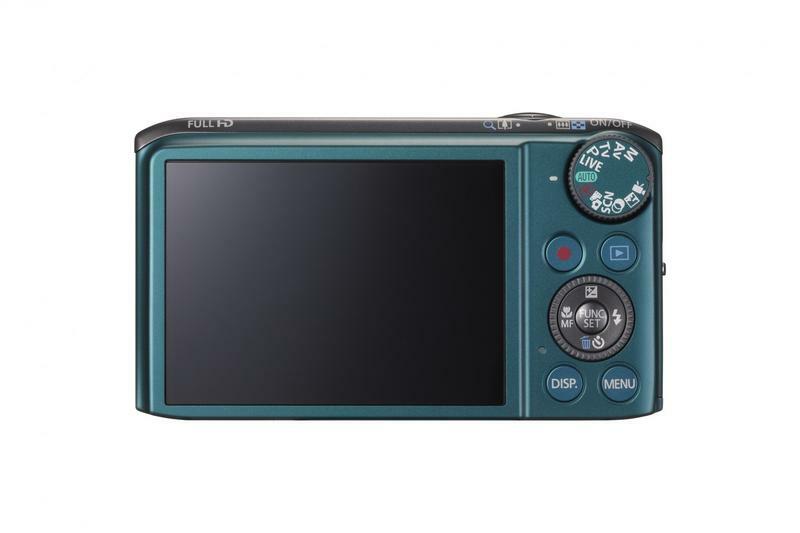 The flagship of the ELPH line, the .78 inches thick ELPH 530 HS camera has the classic style of the original ELPH design while also being Wi-Fi enabled and packing an amazing 12x optical zoom lens to capture great shots from a distance. Canon’s HS SYSTEM has been included where the 10-megapixel high-sensitivity CMOS sensor will work in tandem with the camera’s DIGIC 5 image processor to help produce high-quality images in low-light conditions. The ELPH 530 HS will also shoot 1080p Full HD video helping capture footage in crystal clear clarity. This new model sports a 3.2-inch LCD touch screen for simple and intuitive operation and menu navigation, Smart AUTO scene selection with 58 scenes, Face ID for optimal images of up to 12 registered subjects and the Intelligent Image Stabilization (IS) function. The camera will be available in black or white for an estimated retail price of $349.99 and is expected to ship in April. 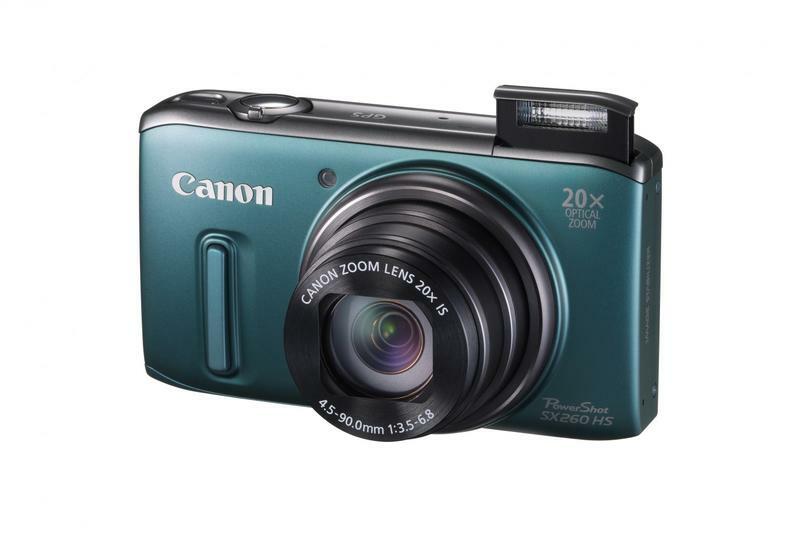 Canon’s PowerShot SX260 HS camera delivers a powerful 20x Optical Zoom and 25mm Wide-Angle lens with Optical Image Stabilization delivers stunning images from up close or at a distance and measuring just 1.29-inches thick. The camera’s impressive zoom is accompanied by Canon’s HS SYSTEM for improved low-light shooting with a 12.1-megapixel high-sensitivity CMOS sensor and DIGIC 5 image processor. Combining this incredible zoom and high-image quality will allow photographers of all levels to capture great photos or 1080p Full HD video up close and at a distance, all in one portable, powerful digital camera. The Smart AUTO scene selection with 58 scenes and Face ID has also been included in this incredibly diverse yet compact device. The camera also includes Intelligent IS and GPS photo tagging with location and elevation information to help plot exactly where your travels have taken you. Adding to the feature-set is High-Speed Burst HQ allowing for approximately 10 high-resolution shots to be captured at a continuous rate at 10.3 frames per second. The camera will be available in three colors – black, green and red – and is expected to be available in March for an estimated retail price of $349.99. Waterproof, shock-proof, and freeze-proof the PowerShot D20 is built with the active photographer in mind. Outfitted with an easy-to-access button, the camera enables users to switch from normal photo mode to snow or underwater mode, even with gloves on. To help make the underwater photos as great as those captured on dry land, the camera has a built-in underwater macro mode producing amazing pictures up close while diving or snorkeling. When recording video, the camera includes wind reduction technology to help capture clear audio even in breezy conditions. It touts an impressive array of features including the HS SYSTEM incorporating a 12.1-megapixel high-sensitivity CMOS sensor and DIGIC 4 image processor, 1080p Full HD video and a 5x optical zoom lens. Also included is a 3.0-inch LCD screen, GPS-capabilities allowing users to track their locations and tag each photo with latitude, longitude, and elevation information and Intelligent IS. The PowerShot D20 camera is expected to ship in May 2012 for an estimated retail price of $349.99.